6 May 2016. 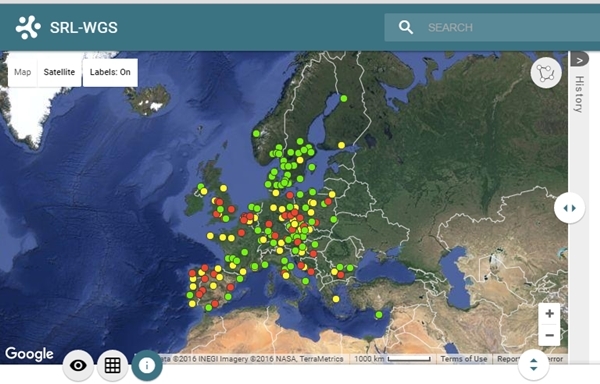 A combination of whole-genome sequencing and data visualization tools now makes it possible to track the spread of antibiotic-resistant bacteria in European health facilities. A Europe-wide team led by Wellcome Trust Sanger Institute and Imperial College London described their software and service yesterday in the journal mBio. The authors call the spread of antibiotic-resistant bacteria “a public health emergency of global concern, threatening medical intervention at every level of health care delivery.” The problem results from bacteria that evolve and develop a resistance to antibiotics designed to treat common infections, including pneumonia, urinary tract, and bloodstream infections. Of particular concern are highly resistant methicillin-resistant Staphylococcus aureus, or MRSA, bacterial infections found in hospitals and clinics. Wellcome Trust Sanger Institute says some 400,000 MRSA cases occur in European health facilities each year, leading to 25,000 deaths. The team led by David Aanensen, director of the Centre for Genomic Pathogen Surveillance at Wellcome Trust Sanger Institute, Edward Feil at University of Bath in the U.K., and Hajo Grundmann at University Medical Centre Freiburg in Germany, took advantage of the wider availability and lower cost of whole-genome sequencing for this project. Whole-genome sequencing made it possible to determine genetic relationships among the 308 samples of bacteria. The samples were collected through surveys of 450 participating hospitals in 25 European countries. The genomic analysis yielded data identifying the high-risk resistant bacterial clones, as well as their virulence and communicability. The researchers then needed a way to display their findings for health authorities to determine where serious problems were occurring and the nature of those problems. For that task, Aanensen and colleagues used available bioinformatics software to process and display their data at Microreact.org, hosted at Centre for Genomic Pathogen Surveillance.